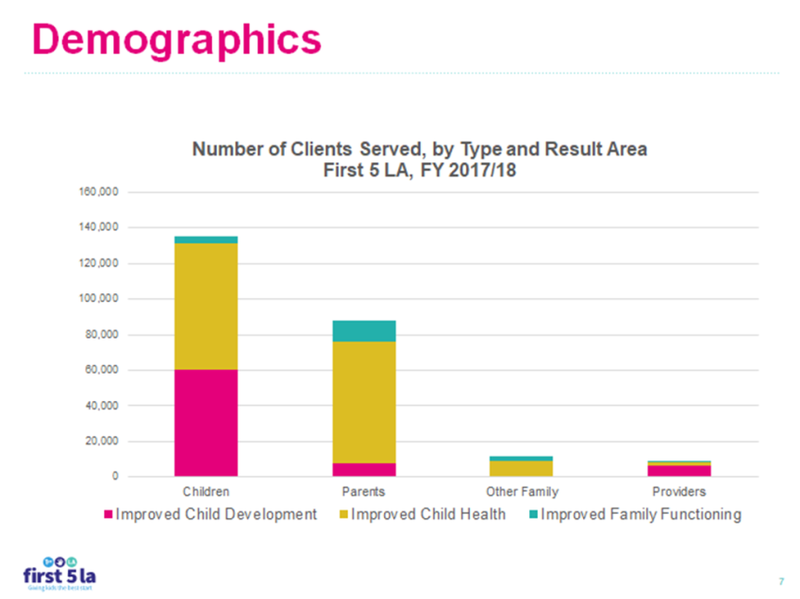 Recently, the Integration and Learning Division submitted First 5 LA's State Annual Report to First 5 California, which included our annual revenues, expenditures, service types, populations served and evaluation findings. 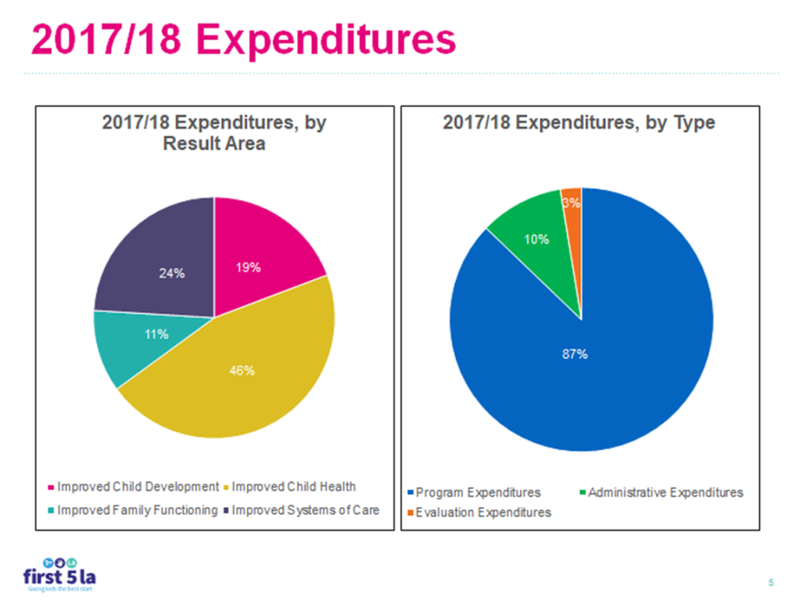 The State Commission combines our data with that of the other 57 county commissions to create the First 5 California Annual Report. In addition, the First 5 Association uses the report information in its advocacy efforts. The I&L Division wanted to provide a "share-out" of this high-level information for staff. 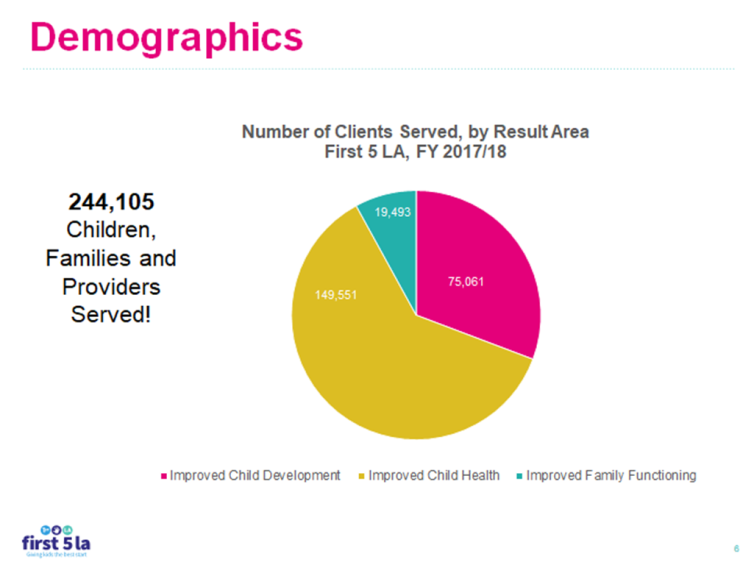 This year First 5 LA directly served 244,105 children, families, and providers. 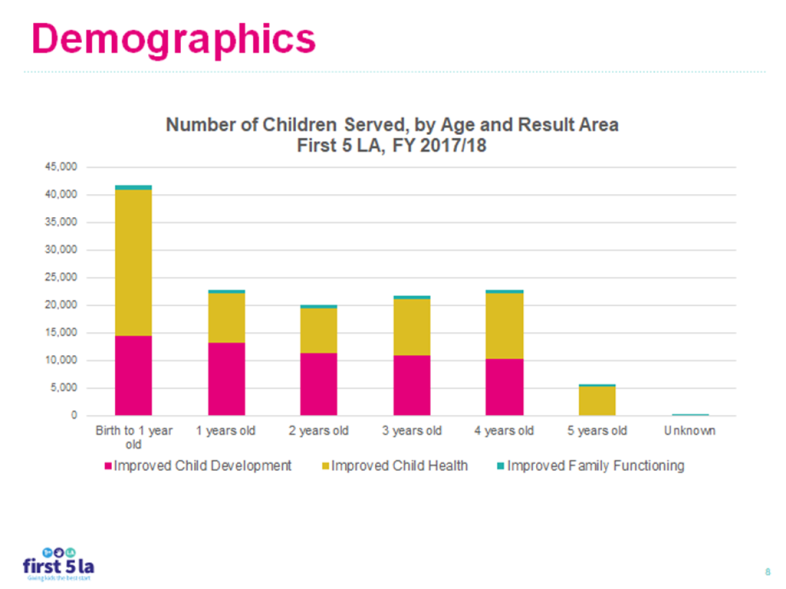 This means 244,105 people in L.A. County benefitted from investments such as Welcome Baby, Best Start, Trauma-Informed Systems Change, Black Infant Health (BIH), Healthy Food Access initiatives, Parent-Child Interaction Therapy, etc. Because of these programs, children and their families were helped to grow healthy in mind, body, and spirit. Thank you to everyone who participated in gathering this data! We appreciate all your hard work and effort this past year.